This morning in metals news, U.S.-China trade talks have led to a tenuous truce, Nippon Steel says strong demand is easing the blow of the U.S.’s steel tariff, and shares of US Steel and AK Steel dropped on the heels of the latest developments in the U.S.-China trade talks. On the heels of a visit from Chinese trade officials to Washington late last week, Treasury Secretary Steven Mnuchin over the weekend announced the two countries had reached somewhat of a truce, for now. Of course, the longevity of that truce remains in question. According to the Washington Post, Mnuchin said on Monday that the president could still impose tariffs on Chinese goods if a deal can’t be reached to scale back the U.S. trade deficit with China. Japan’s Nippon Steel & Sumitomo Metal Corp said strong demand for steel has cut the impact of the U.S.’s import tariff on the metal, according to a Reuters report. “There has been no major impact from the U.S. tariffs thanks to solid global demand,” Katsuhiro Miyamoto, Nippon Steel executive vice president, told Reuters. Shares of US Steel and AK Steel fell 1.1% and 2.6%, respectively, in premarket trade Monday, according to MarketWatch. 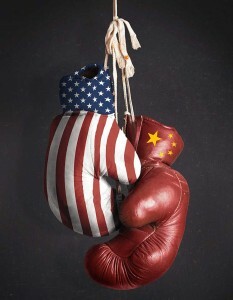 The drop came on the heels of the weekend’s announcement regarding a truce between the U.S. and China on trade. Are the Balkans the Next Big Thing?